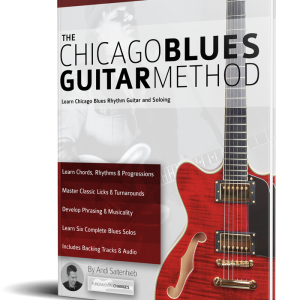 Daunted by Jazz Chords or Don’t Know How to Advance Your Rhythm Playing? 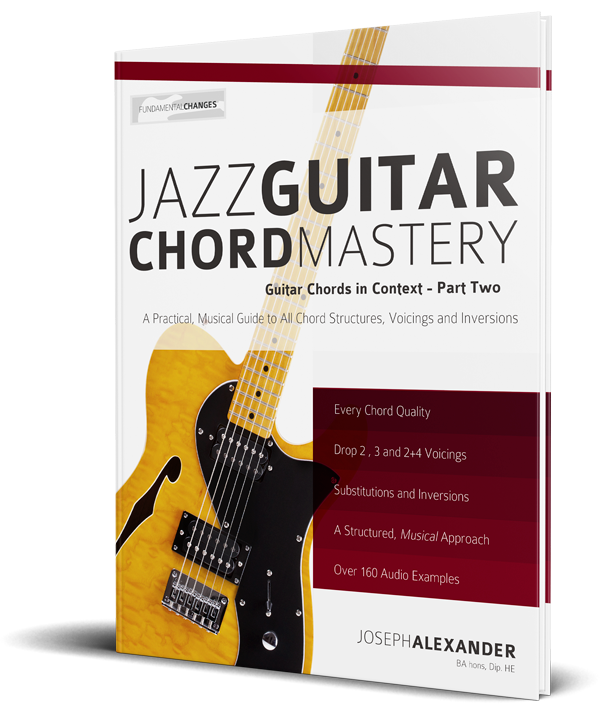 Jazz Guitar Chord Mastery begins by breaking down jazz harmony into four basic chord types: Maj7, m7, 7 and m7b5. How the notes of these chords are arranged on the guitar has a massive effect on their sound and use in music. 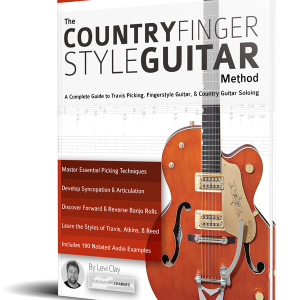 Every common arrangement (or ‘drop’ voicing) of these chords is covered in detail, along with advice on when they are best used, which ones are a priority to learn and how to musically incorporate them into your playing. Any ‘drop’ chord voicing can be ‘inverted’ to be played in different four ways. Jazz Guitar Chord Mastery covers every inversion on every possible string group and shows you where to focus for greatest benefit. Each chord structure is shown in terms of its interval arrangement on the neck, which instantly increases your vision, awareness and understanding of how chords function. 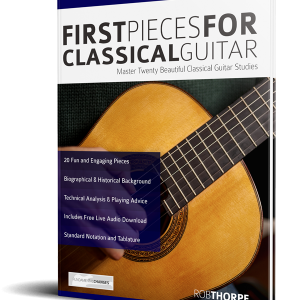 With this knowledge you will make tiny adjustments to the basic four ‘7th’ chord-types to easily form 9th, 11th, and 13th chords plus Dim7, Maj6, m6 m(Maj)7 and any altered dominant chord you wish. 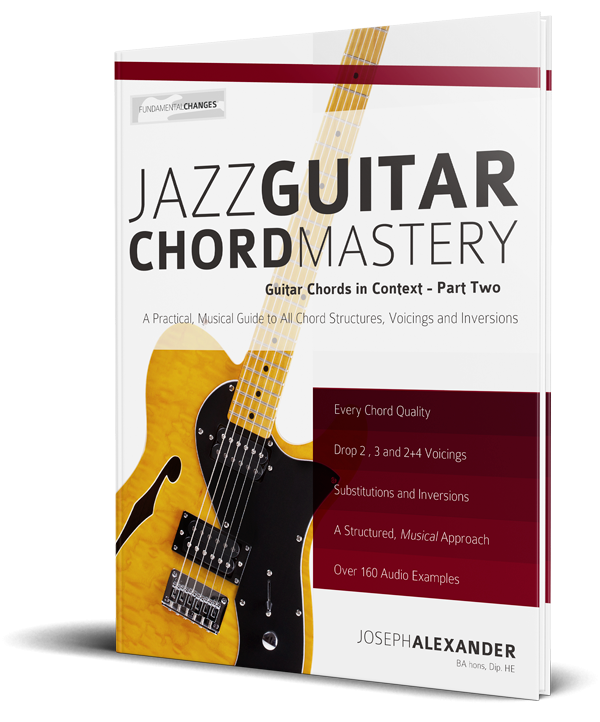 Jazz Guitar Chord Mastery goes way beyond any chord dictionary. You are taught to construct, play and apply every essential chord voicing in a musical context. 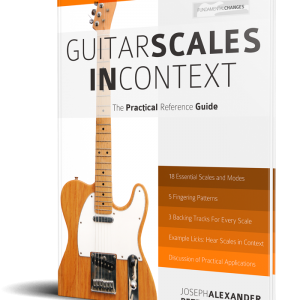 With hundreds of positive reviews, books from Fundamental-Changes.com are a proven, fun and effective way to quickly improve your playing.